Former national cricketer William Haye murdered on Monday at his own residence in the Four Paths area of Clarendon. 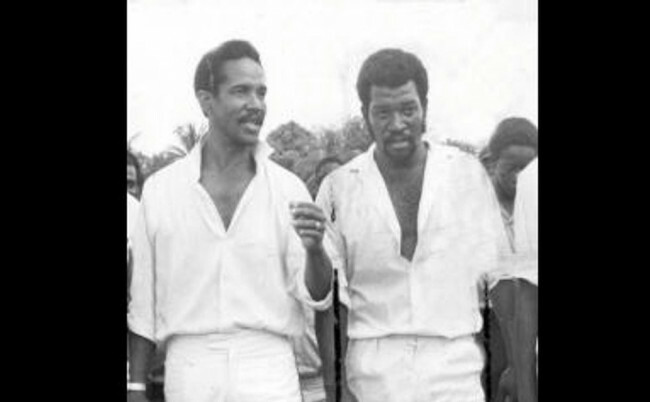 The retired cricketer was one the pioneer fast bowler of Jamaican cricket in the 1970s and early 1980s. He also represented the parishes of St Catherine and Clarendon in his earlier years. The 69-year-old was shot and killed by a yet unknown gunman in the Four Paths area of Clarendon. The Jamaican Observer reports on Tuesday that after killing Haye, the gunmen set his house on fire. The latest update was the law enforcement authority is still investigating. The another local online portal Loop News quoted the Four Paths police, the locals heard explosions and raised an alarm at 2:30 am on Sunday. On their arrival, a house was seen on fire. The fire department was contacted and cooling down operations were conducted. Haye’s body was found inside a room in the razed house with chop and gunshot wounds to his upper body. However, The Jamaica Cricket Association (JCA) said it is “tremendously saddened” at the tragic and untimely passing of a member of the cricket family, William Haye. “This is shocking news; our thoughts and prayers are with his family, close friends and associates in this their period of grief. The circumstances around his death as reported in the media are beyond unfortunate. We encourage anyone with information which may be useful to the police in their investigations to come forward,” JCA stated. The association further added that it will use the opportunity provided in the next round of the 2019 Senior Cup to show respect for the life of Haye.